Often plastered over and hidden in most contemporary architecture, the red brick can often be overlooked and overshadowed by slicker materials. There are a few that take a more honest approach to the materiality of their buildings and have used and celebrated the potential of the humble brick to create interesting, contextual and engaging architecture. Bricks have been used in the building of human settlements since 7500 BC all over the world and as a material is currently the go-to for relatively cost effective building. In more complex architectural projects they have been utilized masterfully to create various distinct interpretations of the material. In German language there are two classes of wall: Die Wand; indicating a screen-like woven fabric (tectonic) and Die Mauer meaning a massive solid fortification (stereotomic). In its nature a brick is an inherently stereotomic material. The poetic concepts of tectonic and stereotomic in architecture are most easily explained as being expressed, and related to, light and heavy. The following two projects manipulate bricks it into either a tectonic or stereotomic expression of the material, layering various historic and material conceptual references to strengthen the argument. 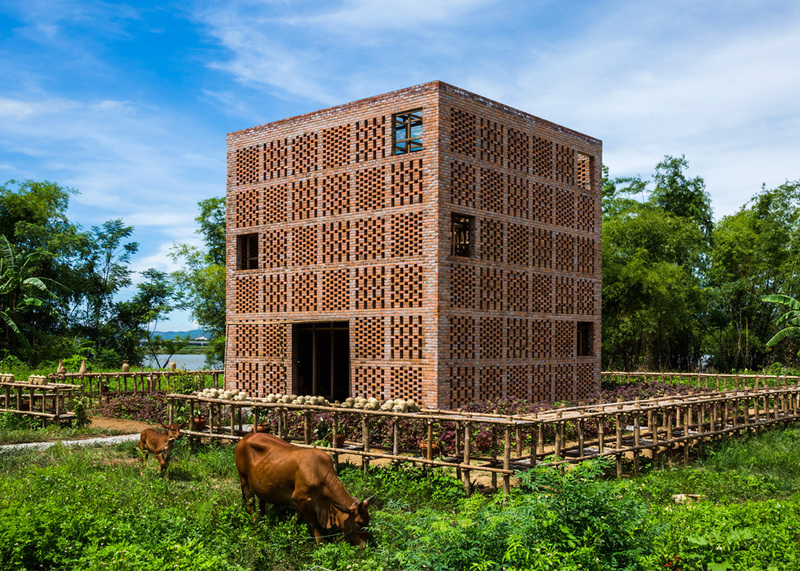 This terracotta studio for local artist Le Duc Ha in the rural Vietnamese province of Quang Nam is conceptualized as a 7x7m cube, resembling a kiln, constructed entirely from brick. The studio is not enclosed in any way and the staggered patterns of the bricks ordered into consistent modules further disintegrate the solid nature of walls as enclosure as well as encouraging ventilation. There is a rigid module at work in the architecture speaking to the consistent sizing and subsequent variations in pattern that brick as a material affords you. The module of the brick informs the modules of the building on various scales. 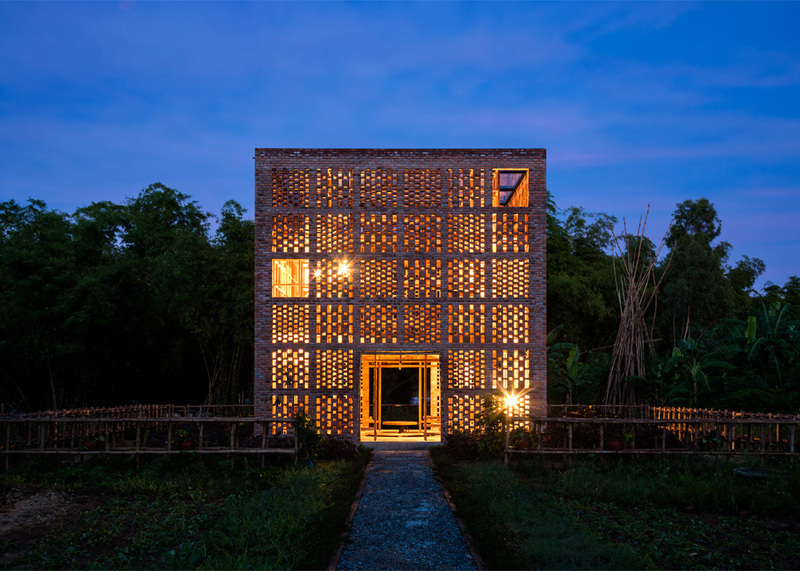 The structure is expressed through solid vertical and horizontal strips of brick creating a grid with consistently sized panels of brickwork infill in varying degrees of openness. 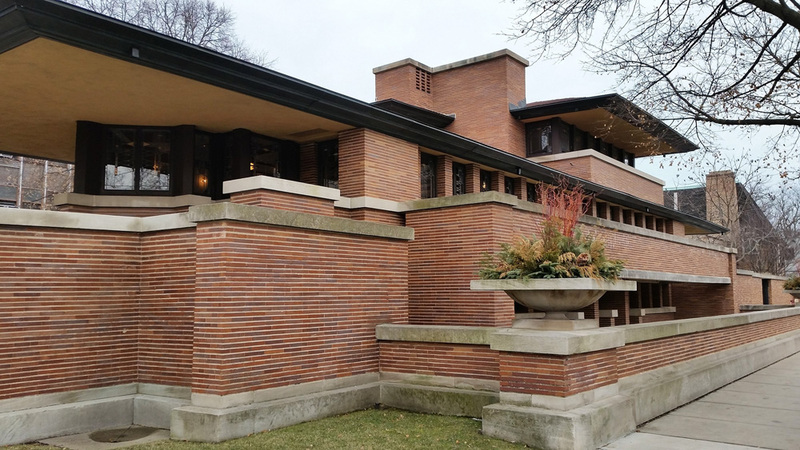 Some panels are completely omitted creating the windows and doors of the structure, their scale again directly informed by the sizing of the brick and the arrangement that creates. This module allows the tectonic lightweight character of the building to transcend the stereotomic nature of its material and takes on the character of a screen-like fabric, woven from bricks. Internally a bamboo scaffold structure creates various levels for the stacking and drying of the sculptures. A single void in the floor forms a light portal directly above the artist’s turntable creating a dramatic focal point in the arrangement of the building. 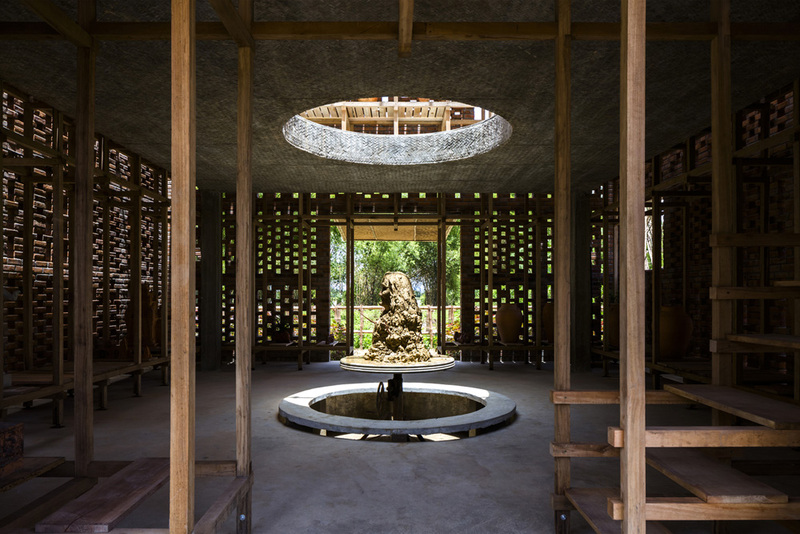 The result is a beautifully ordered pavilion in the rural landscape which expresses its purpose and materiality through a low-tech, locally informed approach to the making of it. 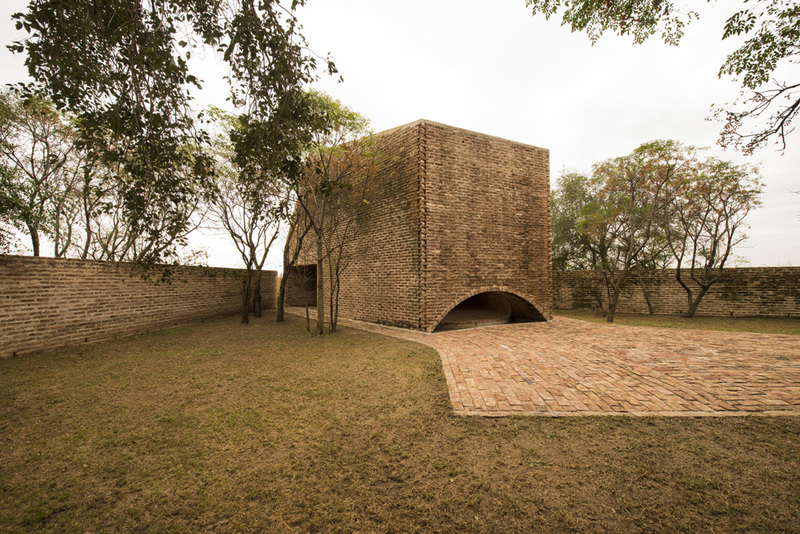 The brick becomes both the material, a response to the local building traditions and capabilities as well as the primary informant of the scale and character of the building. 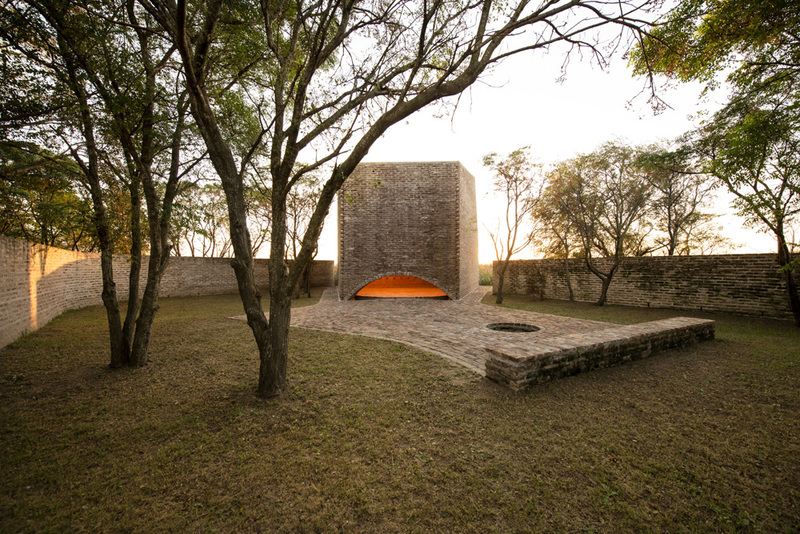 In contrast to the Pottery Studio, the San Bernardo Chapel by Nicolas Campodonico uses traditional masonry techniques to create organic spaces and fluid planes. There is less of a response to the module and simplicity of the brick and more a manipulation of the structural and sculptural possibilities of the material. The exterior was constructed of recycled handmade bricks, salvaged from a house about 100 years old, and to contrast this, the interior used a smaller new brick. 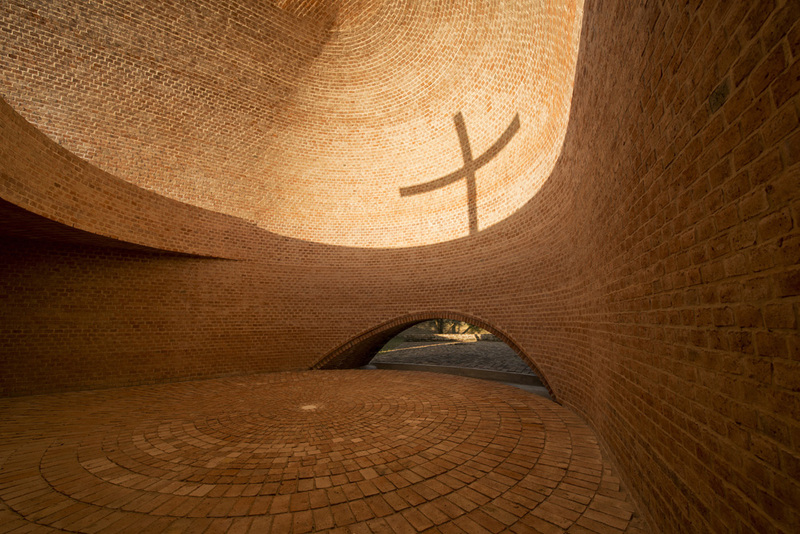 The same material in different physical and historical variations defines the spatial hierarchy of the chapel. Conceptually it was important for the old bricks to be exposed witnessing the passage of time and the new material to be internalized and sheltered. 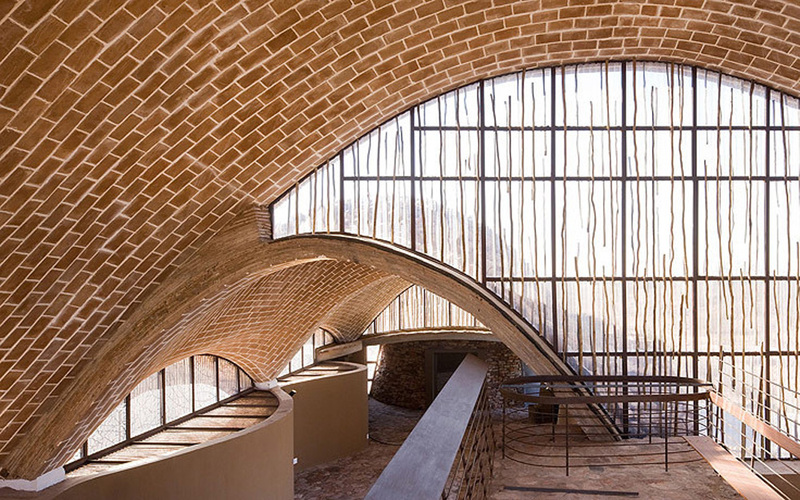 The structural use of the bricks as arches and curves result in a solid and heavier arrangement with various voids punched through to allow light in. The building is grounded and enclosed and feels substantial around you, creating dramatic but quiet spaces. 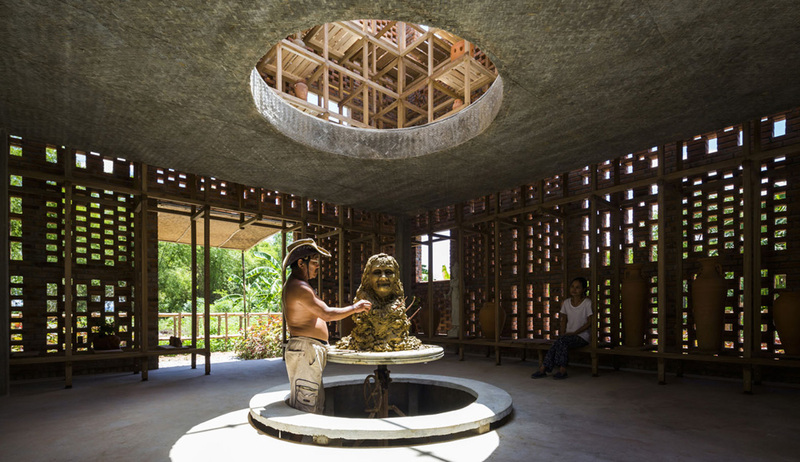 The architect sought to replace symbolism with ritual in the religious expression of the chapel. 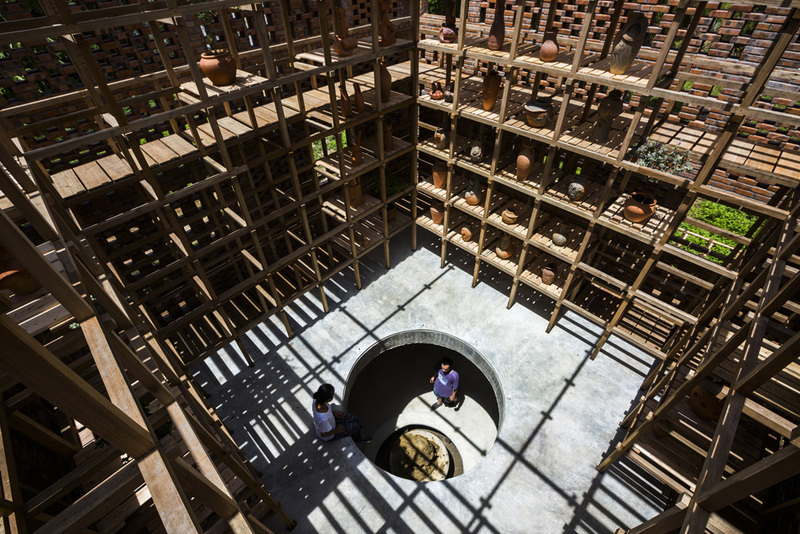 The vaults reference the historic coal ovens used to fire bricks in Argentina – another gesture of respect to the material tradition of the area. The spatial character of the interior is nothing short of awe-inspiring – a simple architectural gesture results in the projection of a cross on the interior curved wall of the building on the day of St. Bernard’s day through the meeting of two shadows projected through the open vault of the building. A sculptural expression of the material results in a meaningful, transcendental space with various layers of meaning and historic reference. Movement through the space becomes a series of engaging rituals, manipulating light and texture to create a procession that removes itself from the visual and ornate symbolism of religious architecture and creates a place that feels spiritual, as opposed to looking it. Both projects achieve a sublime interpretation of the material and illustrate the contrast of what is achievable with the same material but different conceptual approaches and programmatic briefs. 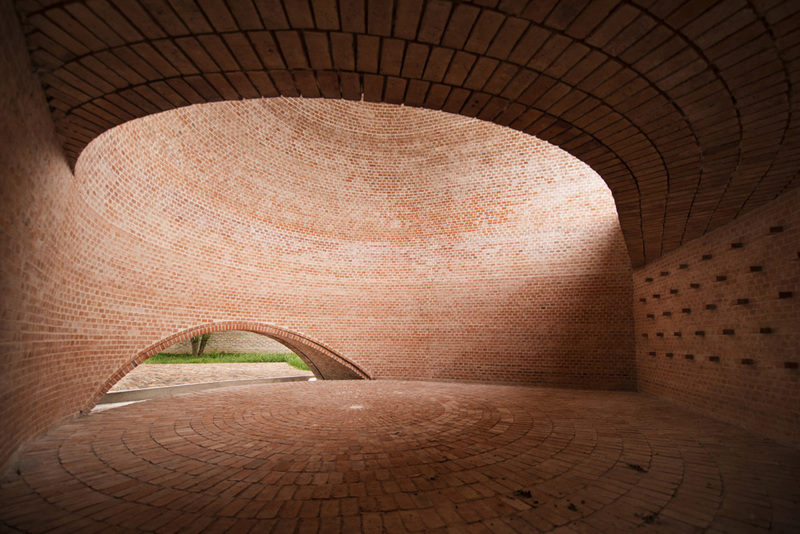 When utilized masterfully, bricks can be extremely versatile in its approach and application. The flexibility and ease of use of the material makes it an interesting tool for architectural expression and the long building tradition it has in many countries means that the architectural intention and final product achieved can usually be closer than that of high-tech, newer technologies requiring specialized skills, labour and a very large budget. So, please lay off the plaster for a while.